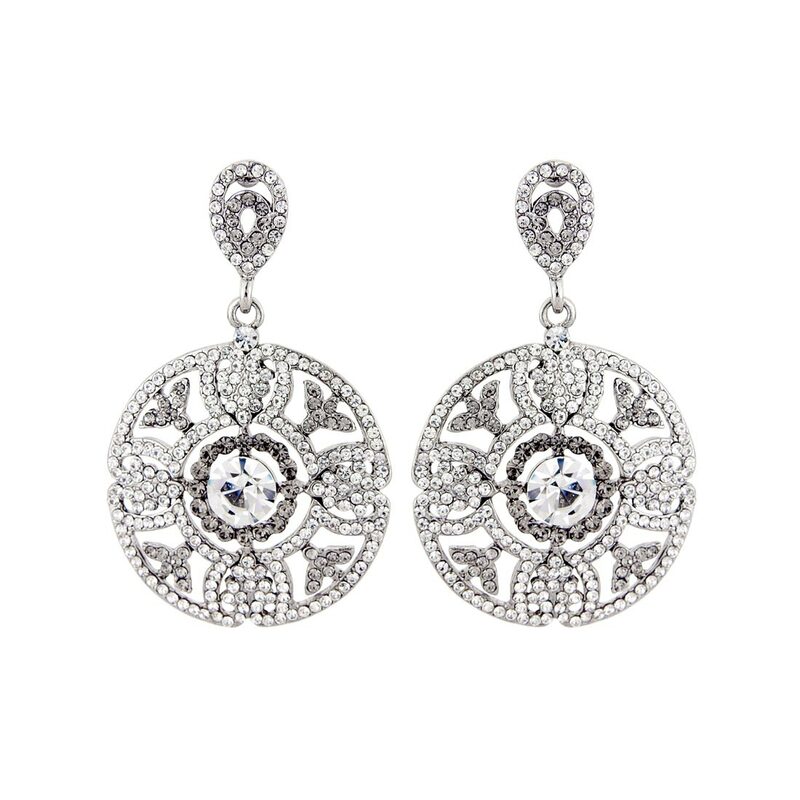 For exquisite vintage style, these ornate earrings are adorned with smoky and clear crystals. Oozing chic almost understated class, these sensational vintage inspired earrings are set on antique silver tone to beautifully replicate aged antique costume jewellery. Featuring an ornate hoop design adorned with smoky and clear Austrian crystals, these divine earrings are perfect if you adore subtle sparkle. With such versatile style, they look fabulous for a lunch date or a glamorous black tie ball and are sure to spend very little time in your jewellery box. Simply exquisite wedding earrings for brides wearing a vintage inspired gown and who adore the romantic elegance of vintage bridal jewellery, they are dramatic without being shoulder skimming. Really beautiful earrings that are light to wear. Excellent customer service, thank you for your help.